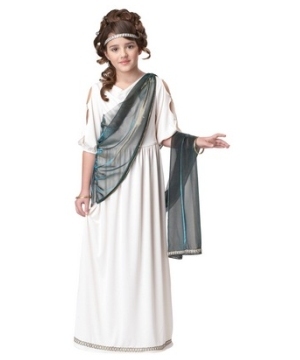 Great options of Girls Greek Costumes such as Athena Costume for girls, Aphrodite Costume, Cupid Costumes and many more Greek outfits in all girls sizes and for all occasions, including Halloween, School plays and theater. The mount of Olympus is the home to an entire lost religion, now relegated to the realms of mythology. Gone are the days when Zeus, high god of the heavens, hurled mighty thunderbolts onto the ground, when Poseidon directed his trident to control the ocean and all the fish within it, when Aphrodite was the queen of love and Cupid was her servant, when Hades ruled the underworld and decided whether the dead deserved punishment or reward for the time they spent in the land of the living. Your girl can feel close to this era as if she was receiving a little bit of life-giving ambrosia, she can be part of the magical times of ancient Greece with a Greek Costume! 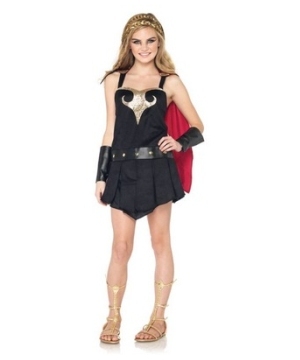 Girls can discover beauty this Halloween dressed in Goddess Costumes! They can select from a mythical girls Medusa Costume, an Athena Costume, consisting on a draped dress with pink and gold accents, to a Girls Gladiator Costume so they can feel like real warriors. 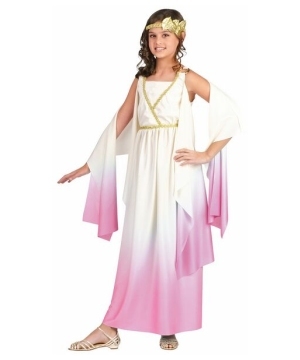 From the time when Gods and Goddess ruled the Earth and simple mortals were raised to be almost as powerful as divine creatures, find perfect Girl Costumes for your little goddess and make her rule at her next event.